Woo! Gunpowder is now available for iPad! At long last, after a bit of a journey, arguably our best game to date is available on iPad. Bucking the trend and trying to be a premium game, we need your support! Please help us get the word out! Things are good at Rogue Rocket. I was just realizing I've been too busy to remember to post here. A lot of the posting effort has gone into the 1st Wonder updates that have been going out kind of regularly. In the meantime, we're working on another new original game, as well as working with a partner on building one of their core concepts into a game. Saw Weezer play at IDF2014. that was unexpected. and awesome. If things work out we have a few more nice surprises in store... See you soon! Hello friends. It's been a bit. That's because we've been super busy. We have a lot going on. There's of course 1st Wonder, which is still percolating. We decided that we wanted to have more to show before going to Kickstarter, so we've been pulling together some resources and making some more amazing stuff to show. Beyond that, we've started another new original IP game project with a new partner that we're very excited about. Hopefully I'll have more to talk about there soon. I sometimes forget to realize how amazing it is that we've managed to ONLY do original IP games since our start, and we should feel really lucky that this is the case. It's not the common story out there for game developers. I also totally forgot to post here about a little game we launched earlier in the year called Jackpot Gems! It's really different than our usual fare, it is a new twist on "match 3" style games. It's combined with slot machine mechanics, which are all the rage on mobile these days. Different gem types are worth different amounts of coin wins, and you bet coins per play. So far it seems that the people who we made it for really like it, and we aim to keep adding features to it over time. Find out more here. Available now on iOS App Store, Google Play, Amazon App Store, and Windows Phone 8! Hello friends and fans. This week, we humbly present to you, 1st Wonder. Please share with anybody who you think would be interested. This can't happen without YOUR help! Thanks! Throne Together, now available widely on Windows 8.1 and Windows Phone 8! Our new game built with Microsoft, Throne Together, is now available on the Windows 8.1 and Windows Phone 8 stores. 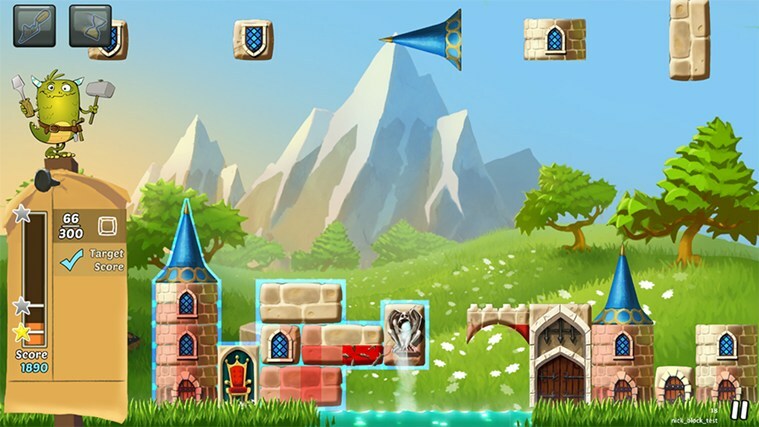 Throne Together is a puzzle game where you drop pieces into the scene to build a castle according to specs without it crumbling under its own weight. Try it out free!